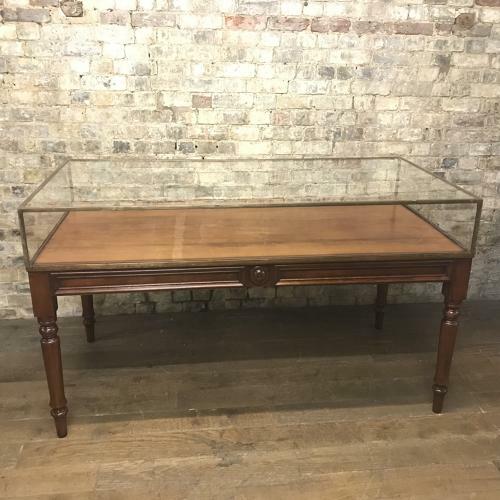 We have a pair of these 1920s mahogany based and bronze topped display cabinets - they are fully restored and are ready to use in a high end retail outlet, museum or home setting. They have sliding glass doors at the rear which can be locked. Trays can be made if required. Can be sold singly.